A conveyor is a horizontal, inclined, or vertical device for moving or transporting bulk material, packages, or objects in a path predetermined by the design of the device, and having points of loading and discharge, fixed or selective. 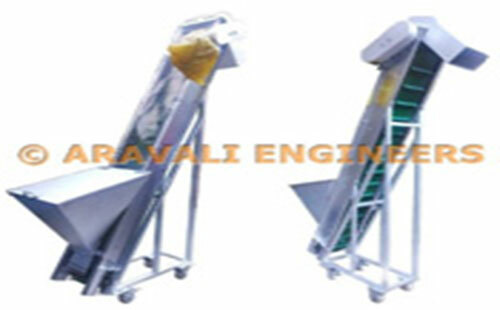 Conveyors can be either gravity powered or live. A simply put - A conveyor is a device that is used to transfer material from point A to point B with/without intermediate loading and unloading points. Conveyors offer a wide range of benefits, many of which are readily apparent. Huge savings in labour costs. 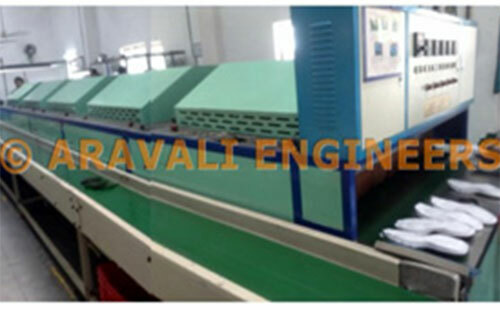 A conveyor of length 10 mtrs running at a speed of 20 mtr/min conveying units 0.5 mtrs x 0.5 mtrs x 0.5 mtrs, weighing 5 kg/unit, has a conveying capacity of 1,920 units/hr. For a similar manual transportation at least 8 - 10 workers would be required to achieve a similar capacity. 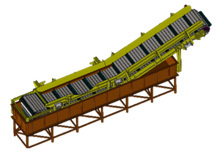 Whereas a conveyor would use only 2 workers; one for loading units on the conveyor and the other for unloading them. Thus the net labour saving in this example would be 8 labour - hrs/hr of work. This would mean a saving of 80% towards labour costs. 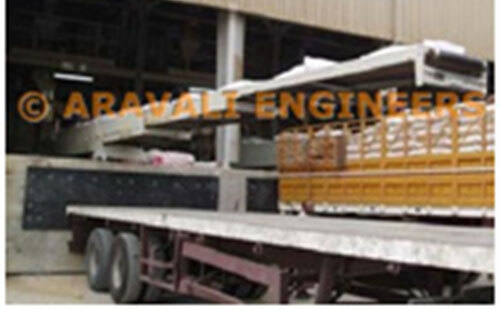 Highly efficient and reliable solution for material transport. Brings project to the worker rather than a worker having to travel to a project. Increased worker safety - can be used for transporting heavy or hazardous products. 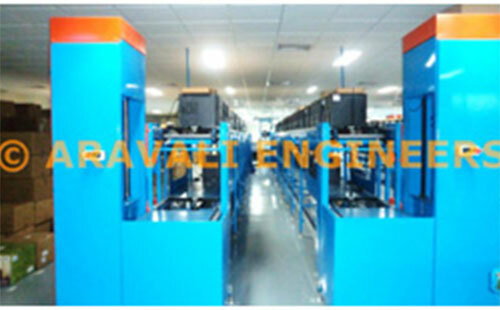 Continuous transferring devices unlike lifts or shuttles which transfer only a certain quantity of material at a time. 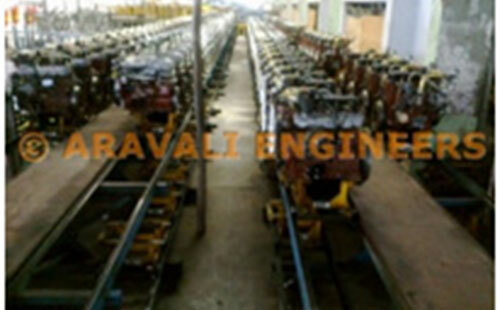 Timed delivery of units on an assembly line help in maintaining workers' efficiency. 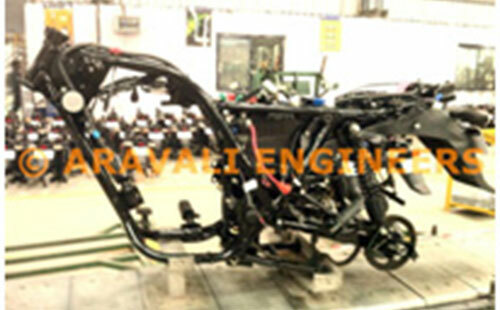 Ability to negotiate horizontal, inclined or vertical transfer paths. 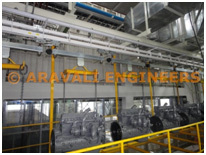 Subscribe below to the Aravali Engineers newsletter to receive exclusive offers and the latest news on our products.